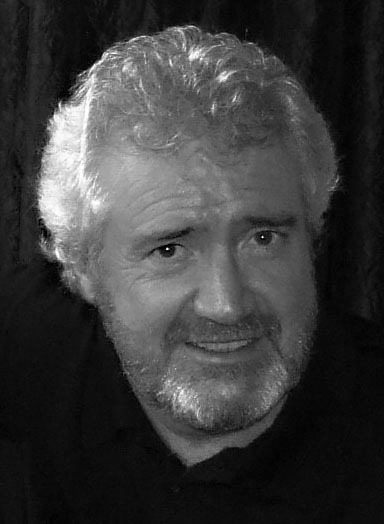 The artist and poet Noel Connor was born in West Belfast in 1954. His mother had been a linen mill worker from the Falls Road and his father an English soldier stationed in Northern Ireland. Connor studied Fine Art there and in the North-East of England, where his father was born. On completion of his degree he was awarded a Master of Philosophy scholarship to pursue his Fine Art studies alongside research into Irish Literature. Since then, his visual work has always maintained a close affinity with the written word and his images and writings have appeared in various publications including the Times Literary Supplement, Poetry Review, The Honest Ulsterman, Krino, Lexicon, Stand and Outposts. As a freelance illustrator for the Oxford University Press he also produced work for a number of school poetry anthologies. Based in the Staffordshire Moorlands, for over twenty-five years he worked with some of the most talented art students in the county. He continues to exhibit widely in Britain and Ireland and has been involved in many collaborations and publications. He is also particularly noted for his innovative promotion of poetry through a range of ambitious site-specific and public engagement projects. He spends part of each year working on the north west coast of Ireland. 1982 Wall – a collection of poems and drawings edited and contributed to by Noel Connor (L.Y.C. Gallery and Press, Cumbria) with associated exhibition and readings. 1988 Relic – The Collective Gallery, Edinburgh Festival. 1990 The Game of Love and Death – poems by John Heath-Stubbs, illustrated by Noel Connor, (Enitharmon Press). 1991 Selected Works – The National Poetry Library, South Bank Centre, London. 1993 Sheltering Places – a collaboration with Gerald Dawe (Rudyard Press/Anna Livia Press, Dublin. 1994 Wall of Words – Artists and Poets Working Together – Brighton Festival. 1996 Words Revealed, a collaboration with the poet Maura Dooley Commissioned by the Midlands Arts Centre, Birmingham and the Irish Crafts Council. 1998 Poetry Instants – poem-print ‘scratchcard’ collaborations with twelve British and Irish poets. Exhibited at The National Poetry Society, London and The Portico Gallery, Manchester. 1998 Poetry Instants – an event organised for the Manchester Irish Festival and Manchester Central Library, enabling readers to produce and exhibit their own poetry instant scratchcards in collaboration with the poet Roger Garfitt. 2000 You are here – eight site-specific poems written and displayed to match existing information stands, during residency at Jodrell Bank Science Centre and Arboretum. 2002 Text Messages – An exploration of the written word in fine art and craft, Rufford Craft Centre, Nottinghamshire. 2002/3 Punctuated Epiphanies – a set of prints based on selected pages from Ulysses by James Joyce, displayed for ‘Bloomsday’ at the Context Gallery, Derry. 2004/5 Inkwells – on-line publication/exhibition for the Potteries Museum and Gallery. 2004 Birdsongs – Site-specific work commissioned for the Hebden Bridge Sculpture Trail. 2005 Waterwords – ‘Invited Artist’ at the Hebden Bridge Sculpture Trail. 2007/8 Reclaiming the Names – a site-specific work commissioned for the new La Salle College, Belfast. 2009 Pump Poems’ – an installation at a Lake District petrol station for the FRED Festival of Arts, Cumbria. 2010 Companion Stones – a collaboration with artist Adam Walkden to produce a companion piece to be placed alongside a three hundred year old ‘guide stoop’ on Beeley Moor, Derbyshire. 2011 Poets meet Painters – writing inspired by art works, published by the Mill Cove Gallery, County Cork. 2012 Streetscene (Listening to a Painting…) – a poetry sound piece for the Grassington Festival Art Trail inspired by the Leeds Art Gallery’s Picture Lending Collection. Tidetrove – poetry and photography derived from the Atlantic coastline of Donegal for the exhibition Gold, Silver and Bronze at the Shire Hall Gallery, Staffordshire. Exhibited at the Biscuit Factory, Newcastle-upon-Tyne / The Watchtower Gallery, Berwick-upon-Tweed. 2013 Wordfall – a collaboration with the textile artist, Donna Rumble-Smith, based on a poem especially written for her work at the Talking Textiles Exhibition, the Shire Hall Gallery, Staffordshire. 2013 In the Pause of Passing – Paintings of the North Pennines by Paul Stangroom, with poems by Noel Connor. 2014 Return to Birdoswald – an exhibition of drawings, photography and poetry at Birdoswald Roman Fort, Hadrian’s Wall, Cumbria. 2014 Wirksworth Words – a photography/poetry sound piece, collaborating with the photographer Lee Hughes, for the Wirksworth Festival, Derbyshire. 2015 Three Counties Photographic Exhibition – selected images from the Ballinreavy series. Keele University. 2015 The Painted Angel – shortlisted for the Corinium Poetry Prize and displayed at the museum’s Hare Gallery, Cirencester. 2015 ForM Sculpture Exhibition – a selection from the Birdsong series of poetry plaques sited in the Bangor Castle Walled Garden. 2016 The Bilko Rosary and The Quiet Man: an interrogation – New Poems and Photoworks, The Verbal Arts Centre, Derry. 2016 Coast – A selection of new photographs and poems especially produced for this group show at the Shire Hall Gallery, Staffordshire. 2016 Insiders and Outsiders – Artlink Members Show, Fort Duncree, Donegal. 2017 Convergence – a collaborative exhibition with the photographer David Gepp, The Verbal Arts Centre, Derry. The Canterbury Festival – shortlisted for Canterbury Festival, Poet of the Year. 2018 Wounded Words – a site specific installation of photoworks and new poetry in response to his research into the archives of the poet John Clare, The Dovecot at the John Clare Cottage Museum, Cambridgeshire. Aurivo Poetry Prize – Awarded the North West Words Poetry Prize (Donegal). 2019 The Bovedy Illuminations – two complementary exhibitions, including a specially created short film, to mark the 50thanniversary of the Bovedy Meteorite, The Armagh Planetarium and The Market Place Theatre and Arts Centre.